We assume the radio waves that carried the remarkable radio recording of The Holydrug Couple found our ears after originating in the vicinity of Santiago, Chile. We assume that their final destination is in the vicinity of Olympus Mons, Mars. The radio recording in question is that offered for free download by The Holydrug Couple – a radio sesión grabada el Jueves 13 de Octubre del 2011 en el Estudio Master de Radio Horizonte. 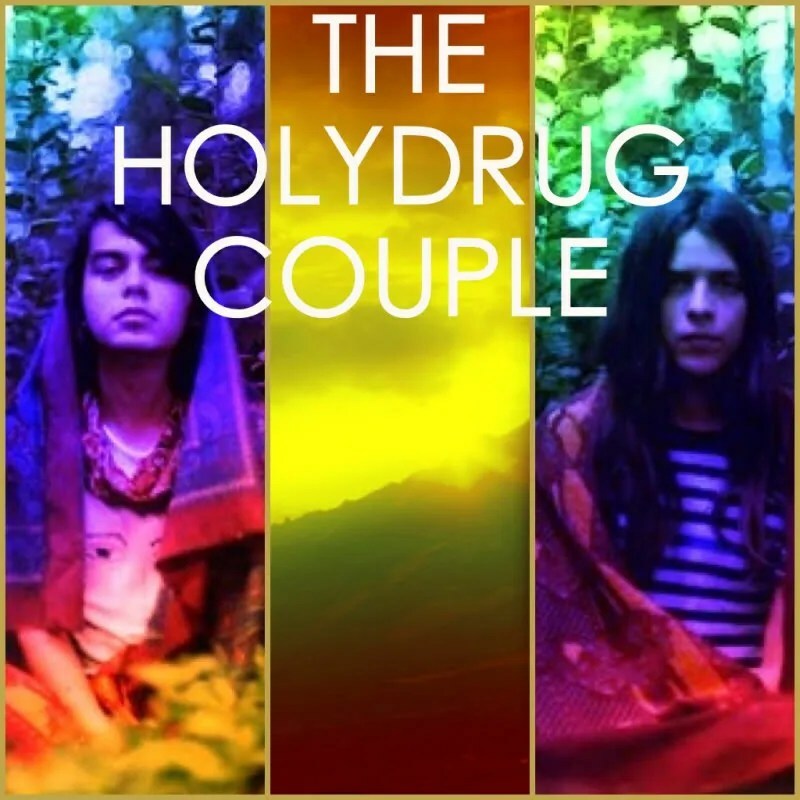 There’s much to love about the music of The Holydrug Couple – theirs is the music of searching, of exploration, of your mind moving toward signing a transcendence-truce with your body, a temporary peace sought in the endless war of of fuzzy guitar and freaky drums. Couple? Certainly this is the sound of a battalion of guitars, backed by an army of ghosts on drums. There’s the aptly named “Slow Motion Cats,” – because theirs is the perfect music for we slow motion cats. And there’s the epic voyage of “Ancient Land” – and here again, is where we really must insist The Holydrug Couple have moved these radio waves, moved their battalion of guitars and army of drums toward a stand on mountains of Mars. Can there be any other message when a song moves so magically, effortlessly through time, space and … ? Wait. Maybe we’re confused. We admit to being confused. Confusion is nothing new. These are confusing days for us, but we remain open to the journey – Mars or bust! – when assisted by the good guidance we find in others who wonder and wander. “I would like to go,” declare The Holydrug Couple, inviting us to come along, regardless of origin, regardless of destination. hey nice article, here’s the real holydrug for new hiphop !